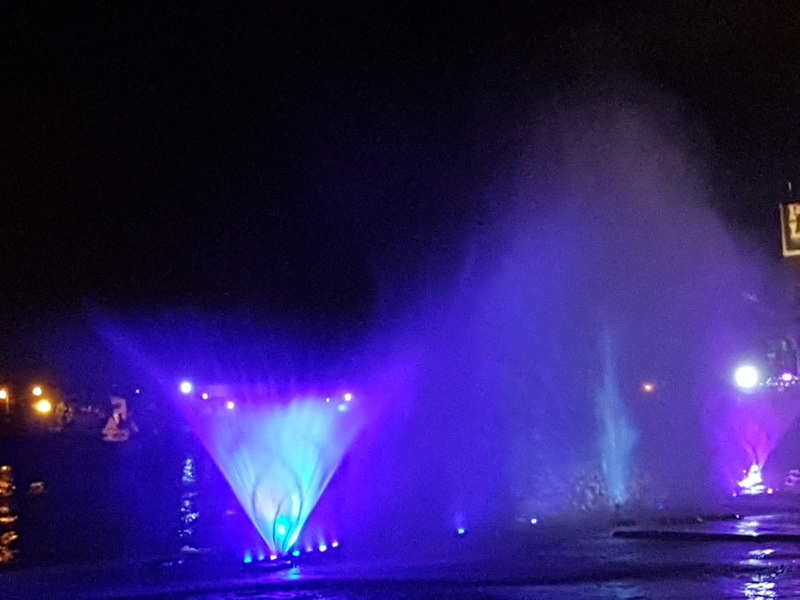 Before talking about Porlwi By light which took place between the 2nd and the 4th of December 2016, we want to introduce to you how Port Louis looks like at night on a normal day. 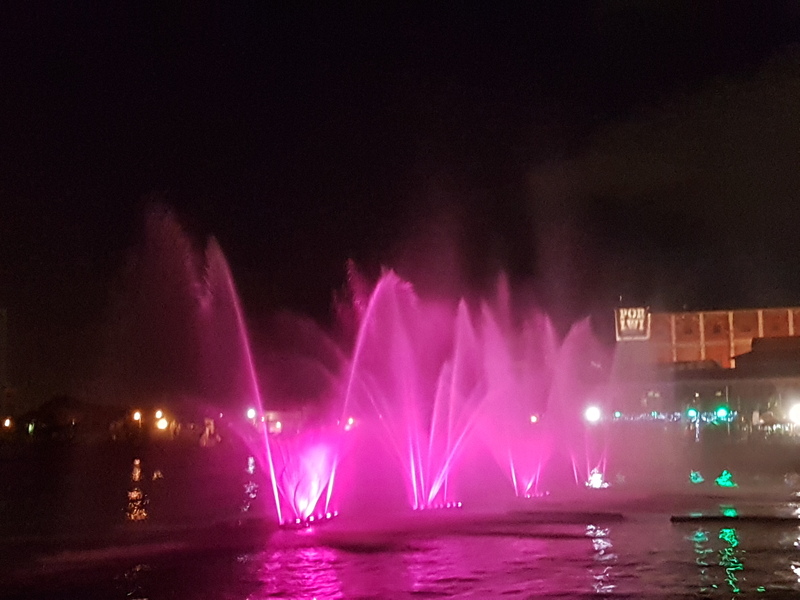 Since Polwi by Light occurs once a year and not everyone has the chance to enjoy those wonderful illuminations, you can still spend a cool time hanging around the City of Port Louis, at night! Mauritius, the dream destination of holiday seekers and wanderlusts, invites you to discover or rediscover the capital city; Port-Louis. But here we will look at the town of Port-Louis in a different angle. 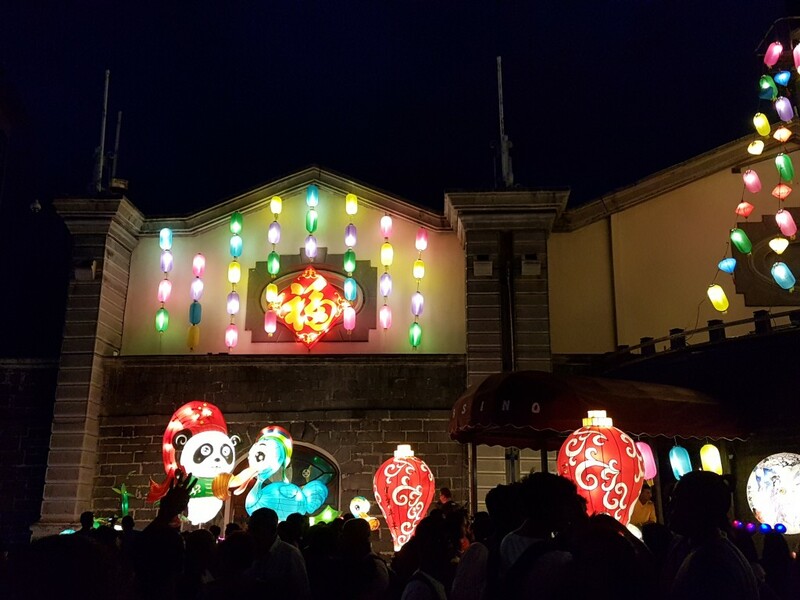 We heard about the hectic hustle and bustle of this popular city during the day, however, the busiest town in Mauritius transforms itself at night to wear a more resourcing atmosphere. 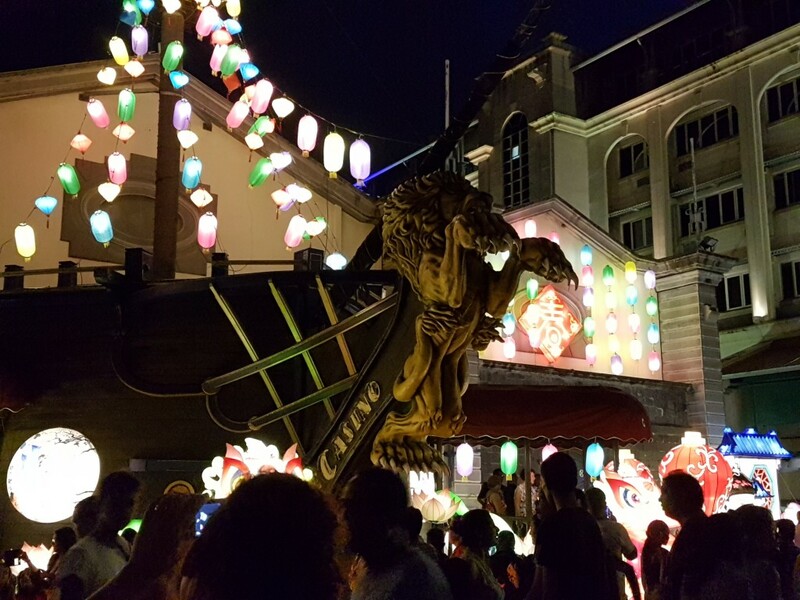 One can feel the sensation of well-being in Port-Louis at night. Port-Louis, the lively capital did manage to preserve its authenticity and simplicity through time, a city merging tradition and modernity in a unique way. Capital city of Mauritius, Port-Louis has a rich history. Founded in 1735 by the French governor Mahé de Labourdonnais, Port-Louis became the business and administrative center of Mauritius. Being protected against strong winds during cyclone by the Moka Mountain Range, Port-Louis was the perfect location to house both the harbour and fort. Given the status of City in 1964, Port-Louis has continued to expand till now. One of the major factor contributing in the development and expansion of the capital city is the Tourism Industry, leading to more shops, hotels, restaurants and the Caudan Waterfront construction. After a heavy schedule, one might think about relaxing while enjoying a delicious and refreshing dinner. So, here is a list of the best restaurants & bars in Port-Louis. The first gastro-pub of Mauritius, Lambic, is situated in the heart of Port-Louis. Set in a refurnished colonial home, Lambic is a popular restaurant and beer spot amongst both locals and tourists. From imported to locals beers, Lambic offers a great variety – notably 130 imported beers and 46 whiskies, they are known to be beer specialists. In terms of dishes, the Lambic restaurant will not disappoint you, they propose mouth-watering foods. They are among the best restaurant to discover the famous Creole cuisine and their well-versed waiters will make them a pleasure to help you match your meal to your beer. The Courtyard restaurant is a fine dining spot boasting a unique and calm atmosphere, they are reputed for serving French cuisine with a Mauritian twist. Foodies will surely love this place, the Courtyard offers delicious and fine foods with a range of international dishes. The décor of the restaurant is simply superb with its classy interior decoration. The hospitality of the staff is quite remarkable as well, they will willingly cater for your slightest needs and wants. The Courtyard Restaurant guarantees a unique gastronomic adventure. A beautiful restaurant nestled in Port Louis city, the Sailors restaurant offers a wide range of dishes, starting from seafood, European, Cajun & Creole, Mediterranean, Asian and ending to vegetarian cuisine. The trés chic restaurant guarantees a selection of rich and gastronomic experiences with its expertise of different taste. The Sailors restaurant offers a journey of taste to its customers, excellent foods all wrapped in a serene atmosphere with a friendly staff. The Keg and Marlin pub is a traditional English pub located on the Caudan Waterfront. A very popular spot among both locals and tourists, the lively pub offers relaxing moments accompanied by some delicious foods with chilled beers. The place to be at evening, the Keg and Marlin pub offers an amazing view over the Ocean. They regularly organise live music on Saturdays and Sundays. Mauritius is a blend of different cultural background, religions and ethnicity, this mixture did create the unique Mauritian cuisine and La Rue Deforges reflects the gastronomical diversity of the island. Port-Louis can be really lively at night especially at La Rue Deforges, this particular area burst out with all kinds of foods, from fast foods to ice cream. If you want to get in the Mauritian mood, then you should try the street foods at La Rue Deforges. Port-Louis street foods is very delicious and the best of all; it is cheap! Those tasty foods will definitely trigger your taste buds. After dinner you might want to hang out around Port-Louis, but where to go? Below, we have listed some interesting places for your convenience. Located on the slope of the signal mountain, the Marie Reine de la Paix church is surrounded by lush greenery, the church is a popular place of worship for devotees and a serene place for those seeking tranquillity. Marie Reine de la Paix offers a panoramic view over the capital city and at night – it can be quite picturesque. If you want to visit the actual monument, you will have to climb up the 82 rock-cut steps, once at the top you can contemplate the beautiful city of Port-Louis and breathing the fresh air of Marie Reine de la Paix ornamental garden. Champs de Mars is a famous place where families, couples and friends meets to enjoy some peaceful and relaxing moment. If you want to mingle with the Mauritian culture, then Champs de Mars is a location not to be missed. Try out the ice cream available there before leaving Champs de Mars, it is really delightful. 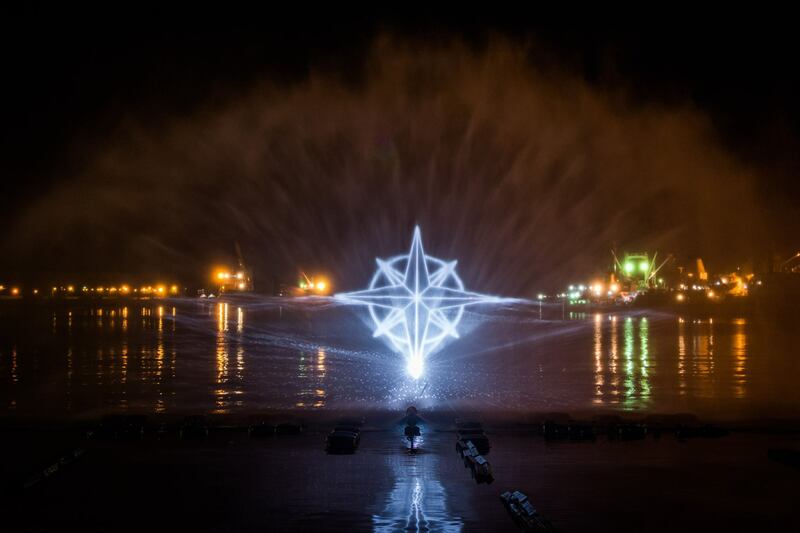 The 2nd edition of the Porlwi by Light Festival was held from the 2nd to the 4th December. The event, this year was spread over 50,000 m2, from China Town to St. George Street, and the main theme behind the event was “People”. This charming story was told in 9 chapters. Here is a guided tour of this, now, annual event that we all wait for impatiently. The starting point of the festival was at the Port, a place that is so symbolic in history. It was the privileged witness of the arrival of the first men in Mauritius. 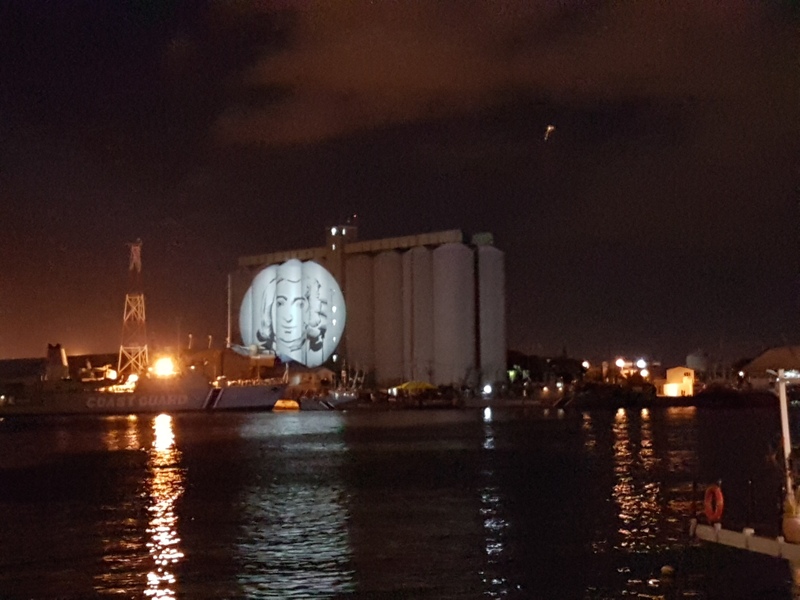 To pay tribute and especially to celebrate the coexistence of these immigrants who later founded the Mauritian nation, the port was dressed in projections. And a gigantic jet of water was laid out. Once in Mauritius, these immigrants learned to work together. That is what you saw while visiting the attic, located near the Caudan. 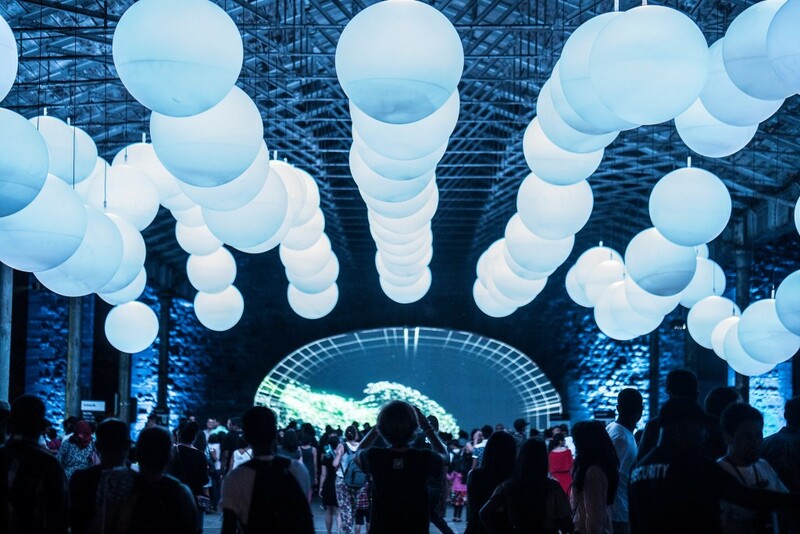 Festival-goers discovered the Mauritian know-how, through what is called the Porlwi Lab. Indeed, this place was an artistic crossroads for the occasion. 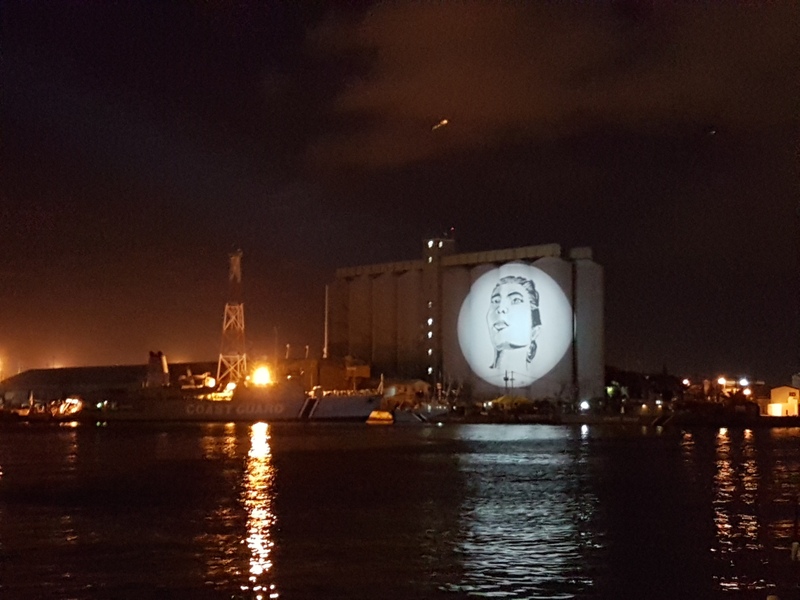 There were projections, paintings and photography. The Aapravasi Ghat was the place to be to celebrate the Mauritian diaspora. 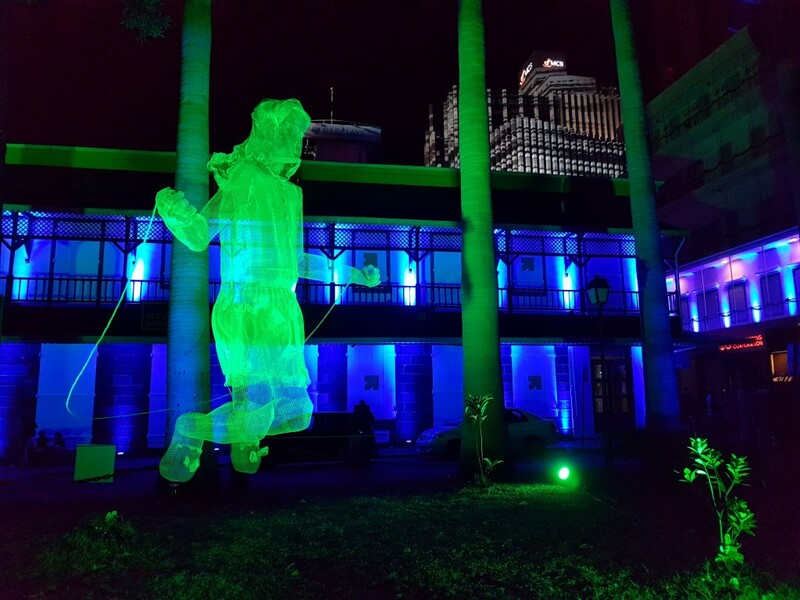 And for good reason, the projections and performances were there to greet Mauritians and visitors alike from here and elsewhere. 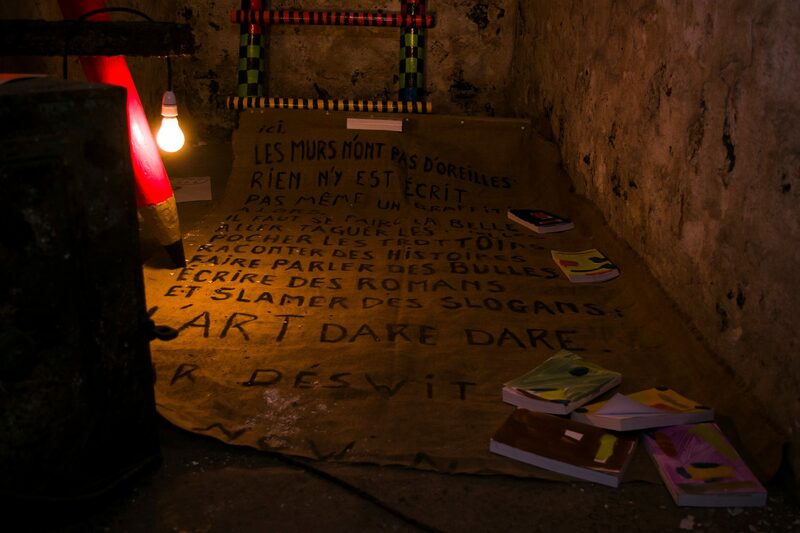 After a long journey, the theater of Port Louis offerd an introspection to the Mauritians. It is the director Azim Moollan who took care of the dressing of the theater of Port Louis. With projections that showed an old man who wanted to relive his precious memories. We were transported into another world and were impressed to see a majestic performance on the balcony of the theater. This year the old prison gave pride of place to the authors of the country. The artists were given the opportunity to show imagination while representing all the beauty of the letters. The garden of the Company is certainly one of the few green spaces of the capital. 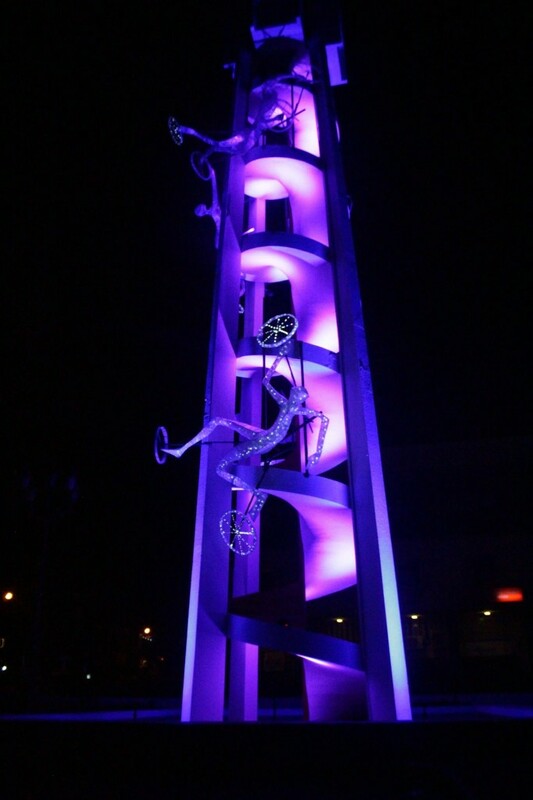 It symbolizes the connection of man with nature. 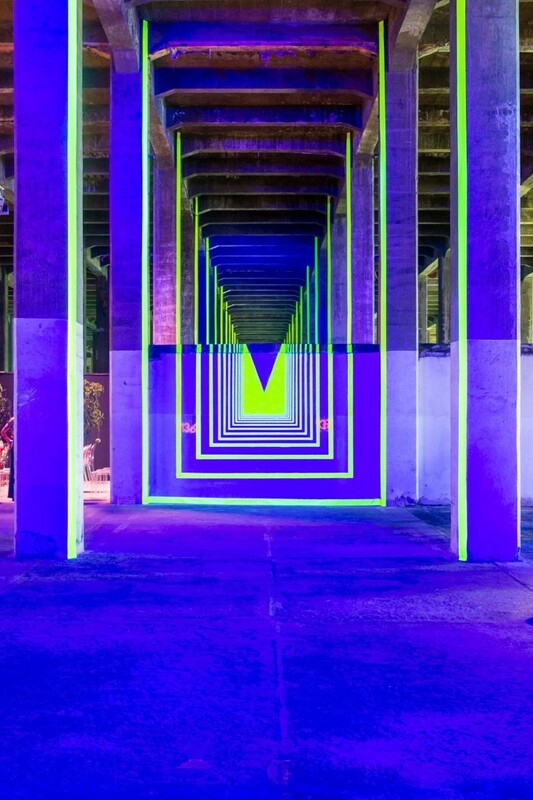 This year again, the public was able to discover a sound and light show. Yet, it was very different from what it was last year. This year, the festival is more interactive. 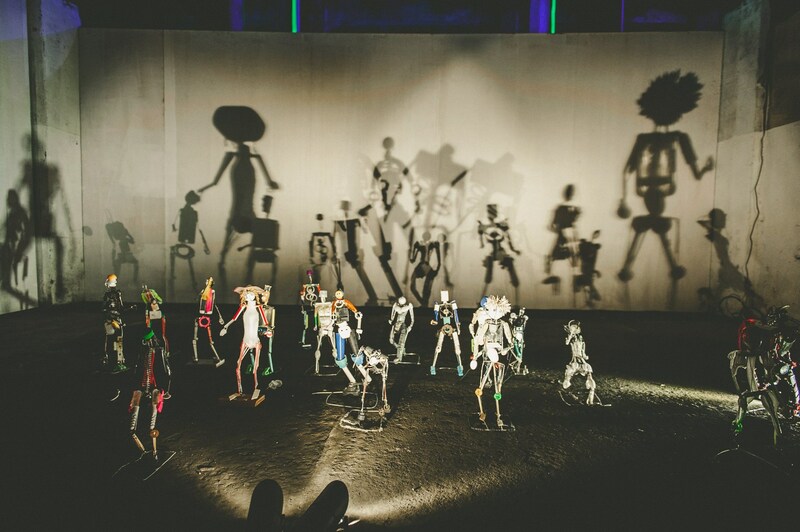 This interactivity was experience by the festival-goers and they were able to live it on the parking area of ​​IBL. 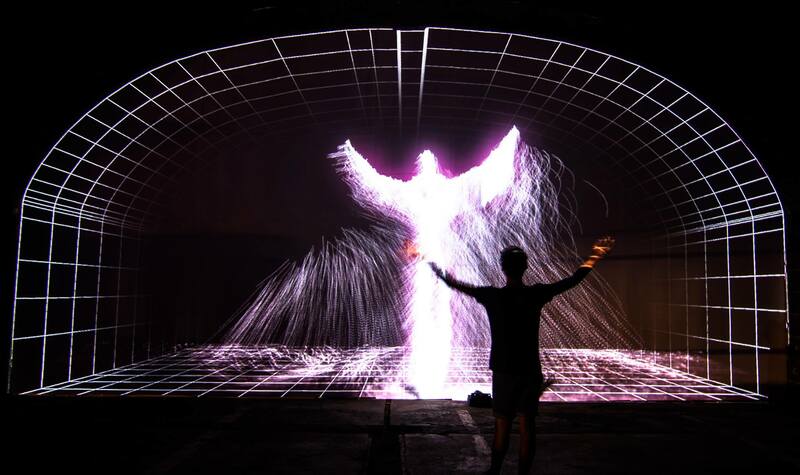 Indeed, the public were able to interact with the projections which changed shape to the touch. The Caudan Waterfront represented the crossroads for this festival. There were animations by the water. All Caudan lived to the rhythm of art and culture. It was indeed an extraordinary sight. The Place d’Armes celebrated e coexistence. Once again, the light were at the rendezvous. Giants were invited to the party and it was indeed massive and majestic to see those giant illuminations boarding the Place D’armes. Porlwi is not without its famous street foods and arts. Well this time too, tasty food and majestic designs and good music were there to impress the young and the old. 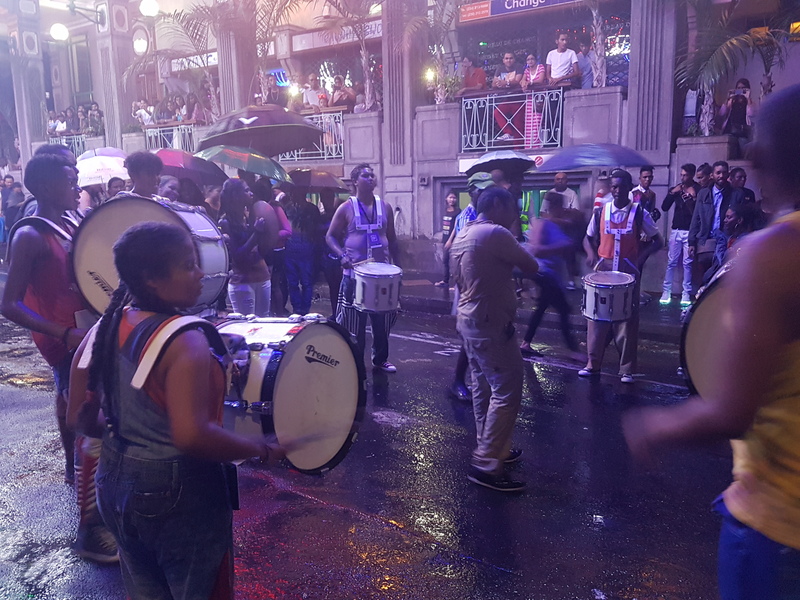 Just like for the first edition, the streets of Port-Louis welcomed Mauritius and foreigners, slamers and musical entertainment. The public was spoiled for choice. This year the number of restaurants was tripled and everything was much more organised. 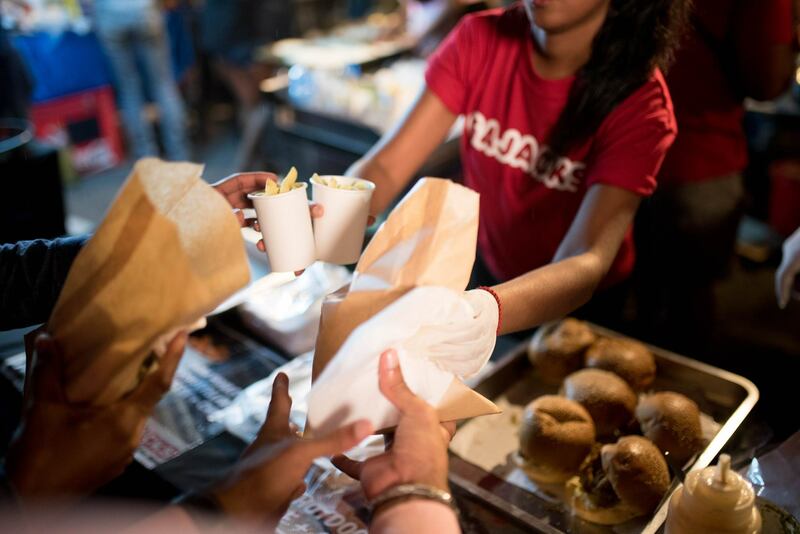 They were in the vicinity of St Louis Cathedral, to satisfy the taste buds of the festival-goers. Indeed, behind Porlwi by light, there has been quite some preparations, and these were up months before the event. Here is a sneak peak of the behind the scenes of this wonderful event that drew so many people to the Kapital of Mauritius! Who on the island of Mauritius has not travelled to Port Louis or should I say “Porlwi”? Indeed, no one can say they have not. Being the city of Mauritius, every trader, businessperson, youngster has come to Port Louis at least one time – Whether it is to replenish their supplies, for shopping, for trading, for hanging out with friends and families – every Mauritian has experienced the wonders of Port Louis. Yet, for you, Port Louis might still be a mystery – a sweet mystery! Sometimes we love it and sometimes not. Indeed, we, Mauritians has a very indistinct emotion regarding Port Louis. Too hot and too crowded but a got-it-all place, very cheap items and delicious food, that is our main description of Port Louis. 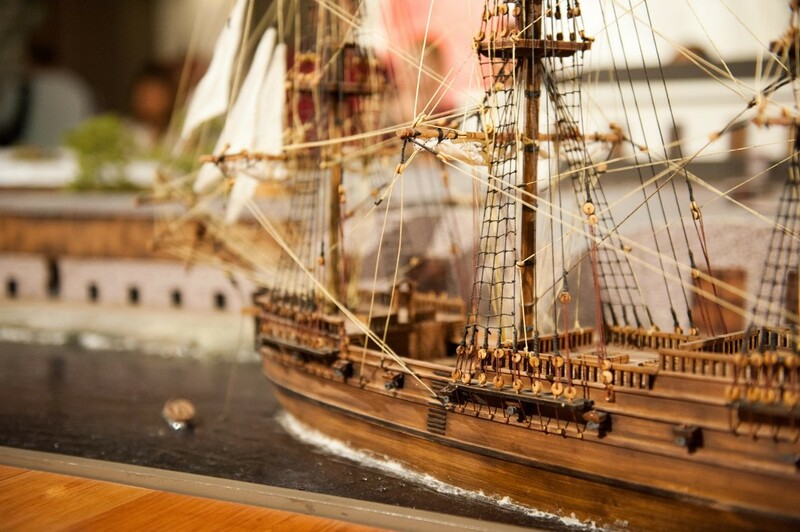 Do you know Port-Louis? A question raised by Nu Kapital, whereby, our own knowledge of the city is to be re-examined; whether you are a Mauritian or a tourist. 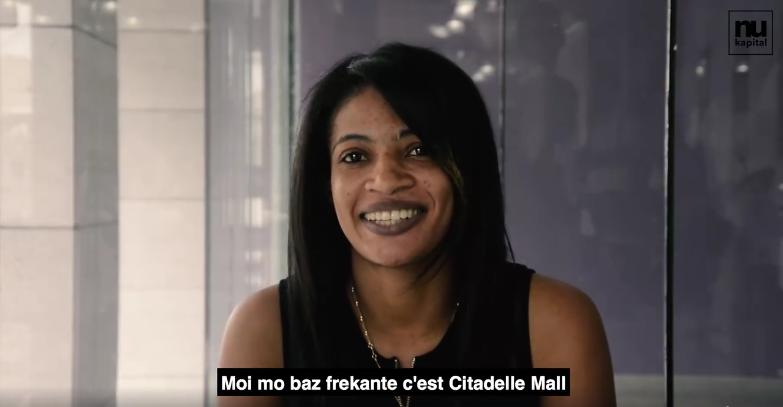 Similarly, after several years, Port Louis became somewhat “old-fashioned.” Due to the opening of several malls, youngsters became much more interested in cosy cinemas and luxurious restaurants, which are already available on site. The team which is composed mainly of University students, aiming at redefining the city by enabling people to learn and rediscover the different facets of Port Louis through a new angle; all of these through means of photography and videography. 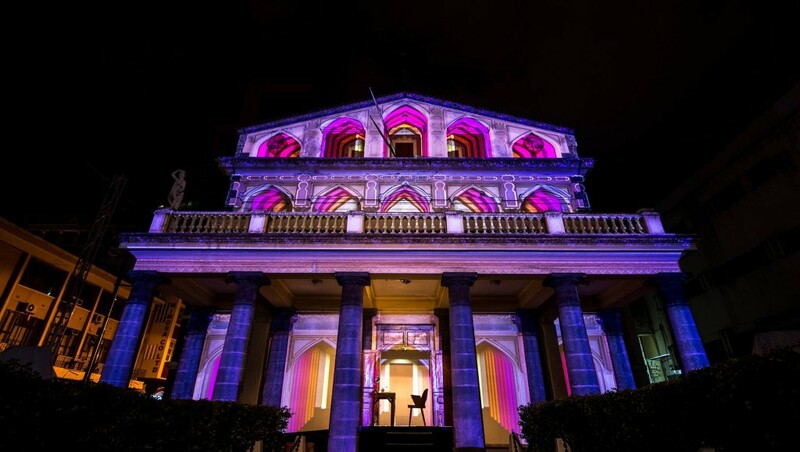 This year, Nu Kapital introduced a whole new concept – 5 rubrics, each different, sharing the different wonders of Port Louis through different angles and perspectives. Most of you tourists are normally on holidays in Mauritius, especially during this festive season due to our mild temperature – an alternative to the chilly weather of European countries. If you settled down recently or have already settled down for some moment, you might want to know more about Mauritius and its most appreciated places in order to experience it yourself. The only thing is that Nu Kapital is mostly centered on Port Louis but that is not a problem since Port Louis is a treasure coffin in itself. In this rubric, Nu Kapital brings to you interviews of different people to determine their favourite place to hang out, drink some tea or even repair things. As a result, you will be able to find out the different places which offer exclusivity and win the hearts of Mauritians due to their devotion, effort and passion. 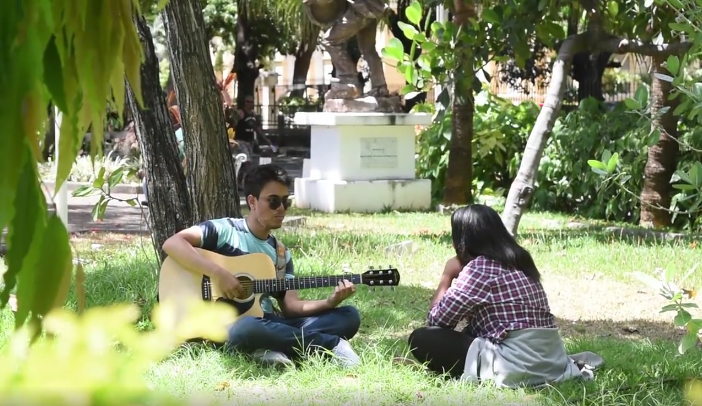 For example, Nu Kapital filmed a video concerning the favourite romantic places of Port Louis. So if you want to bring your other half to a nice restaurant or an isolated place, it would be perfect! 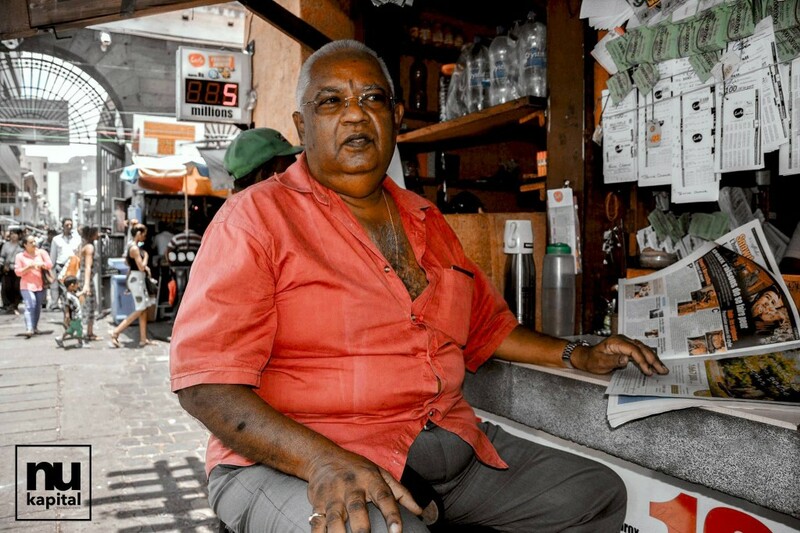 What makes Port Louis without its people? Bearing in mind the theme of this year, that is “people,” Dan coulis lays emphasis on all the important persons who contributed to the overall cultural diversity and economy of Port Louis. Despite their presence, people do not know whether they are important. For example: A scavenger picking up trash every week, a caretaker cleaning the offices or even the person sweeping the floor after the local horse race at Champ de Mars. Each and every one of them brings their heart and soul to work and becomes one with Port Louis. If Port Louis could talk, it will certainly thank them for everything. What makes them different from us? You see, often we crave for white collar jobs and forget that all the smaller jobs are important also. They contribute in your whole well-being and social harmony. Summer is already here and the scorching sun is up. Why not taste an Alouda to refresh yourself? You would have loved it, isn’t it? What Nu Kapital propose on the other hand, is literally putting yourself in the shoes of the vendor himself. Often we believe that these kind of jobs are easier than ours. 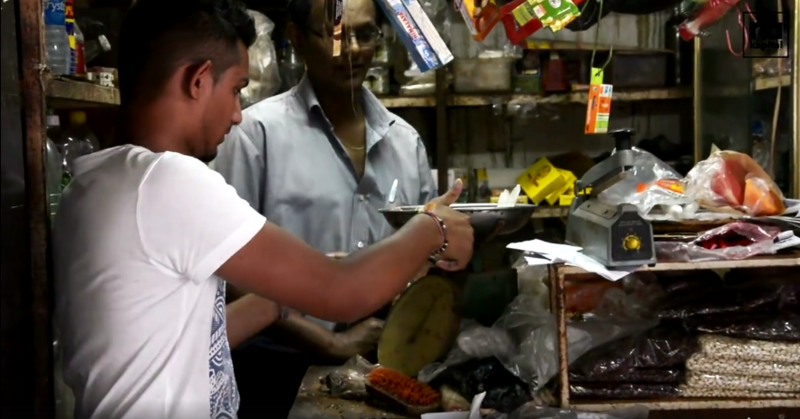 In some recent videos whereby two teams were helping the owners; Alouda Pillay and Mr Vaden, seller of salted fish respectively, Nu Kapital discovered a whole new world and is ready to share it with you. One of the benefits of this rubric is surely that these businesses will become more popular but for the teams itself, you would have seen in the videos that the experience in itself was enriching. Why enriching? Because these youngsters grew up with a silver spoon in their mouth, they do not know what it means to work really hard to bring the daily bread on the table and have a minimum of luxury. Again, this question still comes back, what would be Port Louis without its people? Most of us being digital natives, we often do not know the history or Port Louis or we do not know people who would tell us more about it. 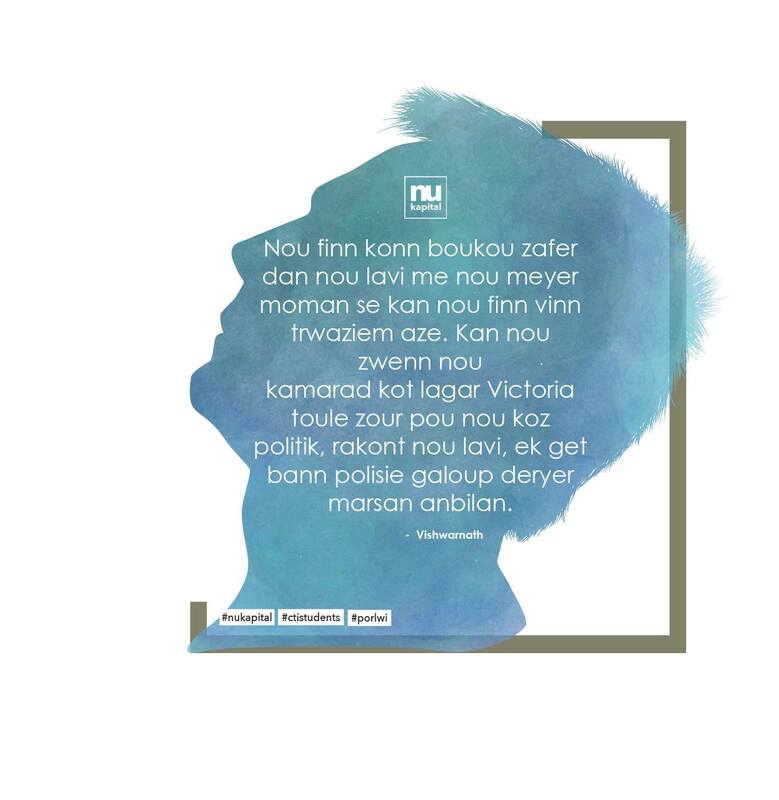 In this rubric, Nu Kapital meets people and interviews them for an anecdote, they have of Port Louis, which is inserted on a background picture – A beautiful way of sharing knowledge and history! Now this gets more intimate and creative. Special Article is mostly the Nu Kapital team setting themselves free. They tell us in the form of music, articles and other wonders, what they understand of Port Louis, how it makes them feel inside their own soul while at the same time sharing their passions to us. 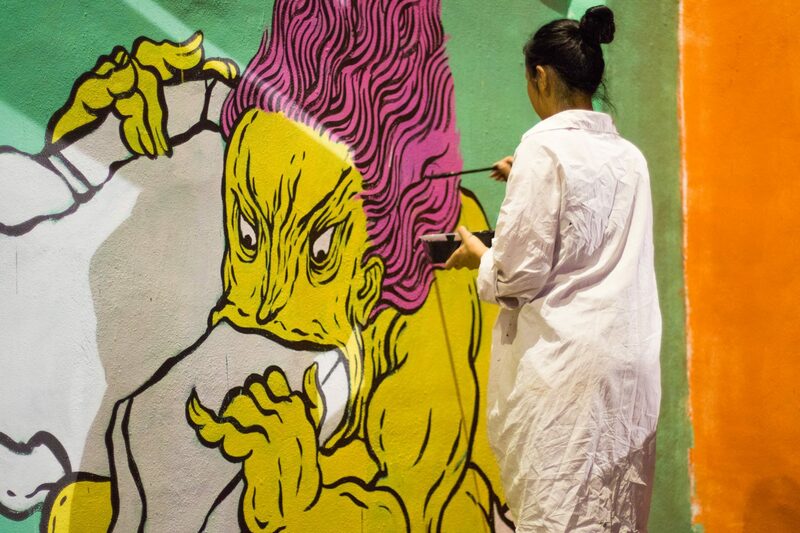 This year again, even though the weather somehow disturbed the festival – it was a success. 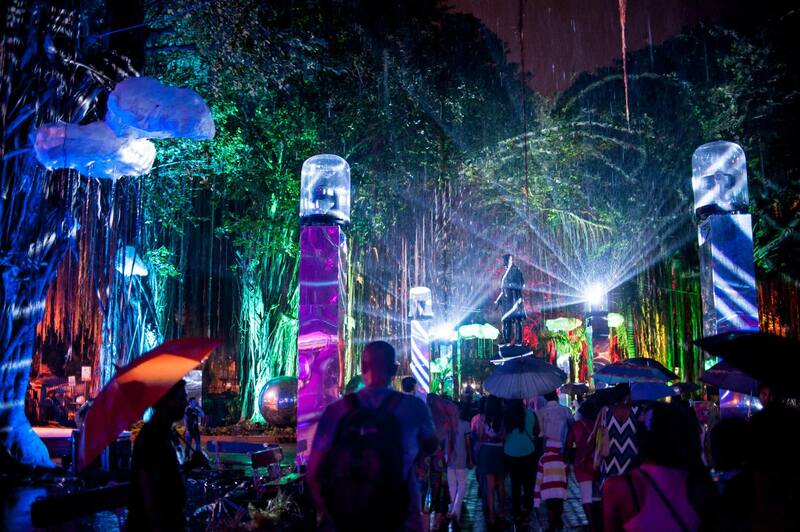 We were all impressed by the magical scenery and awesome feelings the various light arts gave to us. We expect to be more thrilled during the next edition – we hope there is yet another one – and well as usual we’ll review it for you. If you missed Porlwi 2, here are some snapshots for you! And if you missed Porlwi 1, do not forget to check out our article! See you for the next edition!